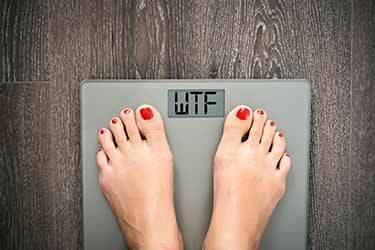 The days of low fat diets have taken a backseat to healthy – or at least healthier – fats. Perhaps the poster child for this trend is coconut. 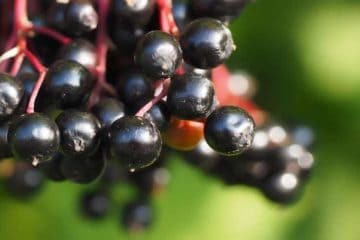 Like many superfoods, the actual advantages are often exaggerated and sometimes completely bogus. The stretch marks coconut oil remedy is an example of the latter – a big scam. While its not a pure source, coconut oil is also one of the best examples of a high MCT food. But unlike the stretch mark scam, the science suggests that increased energy benefits may exist for these types of fats. Bodybuilders and dieters alike should pay attention. 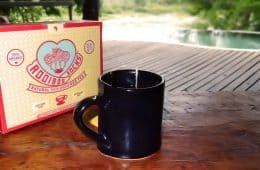 Adding them to your morning Joe to make bulletproof coffee might actually be a legit idea, but only in moderation. Some people are going overboard with their use, eating (or drinking) way too much. That can cause side effects like weight gain instead of loss. 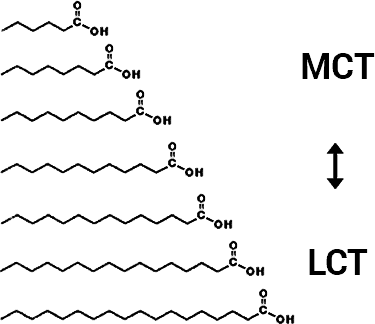 MCT stands for medium-chain triglycerides. Triglycerides = fat in your blood stream. 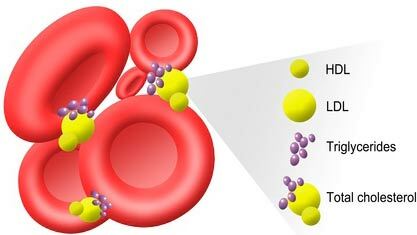 They’re also called blood lipids. The word “medium” literally describes its length; each molecule has a tail which is 6–12 carbon atoms long. These are actually quite rare in the American and westernized diets throughout the world. Almost all of the types we eat are long-chain triglycerides (LCT). As you would guess, those are longer; 13–21 carbon atoms. It’s not a term you hear every day as they are typically lumped in with the long chains, but there are also very long chain fatty acids (VLCFA) which are 22 carbons or more. Why are those worse or inferior to medium chain fats? There’s actually nothing wrong with long chain in moderation, but we live in a society that adds oil to everything. Fried foods are the obvious examples, but the biggest offenders – because they’re so prevalent – you may not even think about. It’s the “healthy” things like salad dressings, meat marinades, and just about anything pre-made that you can buy at a grocery store or restaurant. They have liquid fat added in the form of soybean, canola, and other cheap long chain forms. Seriously, read the ingredient labels and you will see it in everything. Including the vast majority of what you can buy at Whole Foods, but excluding the literal whole foods sold there – the plain veggies, fruits, etc. Why does every food add it? Because our tongues have been trained to expect that sensation on anything we eat. Yes – it’s a texture, not taste. 100% pure fat actually has no taste (1). It’s not much different than cigarettes. Food manufacturers and eateries aren’t stupid… they know that by giving your tongue that fat fix, you will be coming back for more! This bad habit has led to us eating way too much of these long chain versions. This holds true whether you’re an omnivore, vegan, or the average Paleo diet follower. 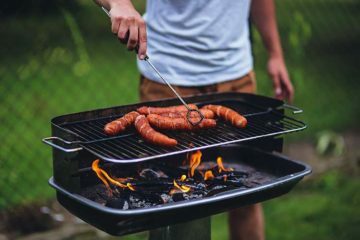 These long chains are harder to digest and our bodies aren’t designed to store excess supplies for short term use (like burning them an hour or two after a meal). What our bodies are designed to do is store them for later use… much later. In other words, making you fat. On the other hand, medium-chain triglycerides are easier to digest and can be burned almost immediately. They do not require the bile salts or chylomicron formation for digestion, like the long chains do. Instead, they are directly absorbed into the liver through the portal vein, completely skipping the thoracic duct lymphatic system that is needed to process the longer types (2). You can almost think of them as a carbohydrate rather than a fat. That’s their biggest benefit. Just like long chains are not evil in moderation, neither are carbs. We need easy-to-burn energy, especially if you’re a high endurance athlete, bodybuilder, or have a job involving intense manual labor. Your muscles may have times they need energy and lots of it to perform their best. MCT oil refers to a type of highly refined edible oil which consists of only medium chain fatty acids. How is it made? 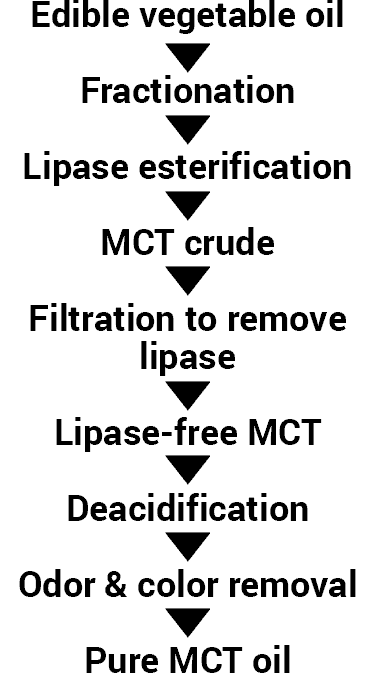 Through a process called fractionation, which separate the lipids. The MCTs are extracted from a natural source, like organic coconut. Further stages of of refinement can be used to create a 100% pure MCT oil. It’s a product which has really caught on in recent years. In many locations, you can even buy it locally at GNC, Walmart, Whole Foods, and similar stores. Though your selection may be limited versus buying online. 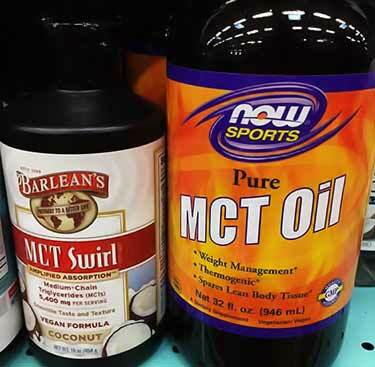 Is MCT the same as coconut oil? No. Even if it’s made from coconut, it’s going through additional refinement (fractionation) to isolate the medium chains. 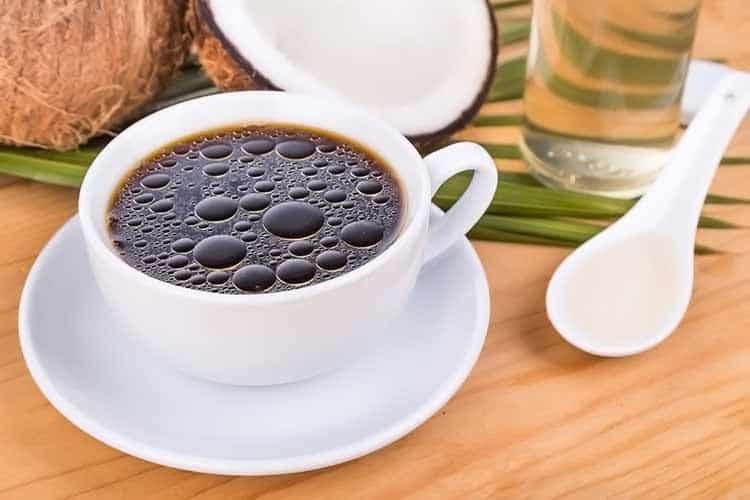 Before even comparing the nutritional benefits, some argue that coconut oil is better than MCT fat because it’s natural. In reality, no oils we eat are natural. About the closest natural foods to them are something like an avocado (which is not a hard fat) and the oil in fish (but that’s only in minuscule quantities relative to the rest of its meat). Contrary to what we all wish was true, dousing your salad with olive oil is not natural. In the hunter-gatherer days, having that experience would be impossible. It’s said that coconut oil is Paleo friendly. Technically though, it’s not something early humans ate since they didn’t have the capabilities to make it. The funny thing – and a reason we often scoff at some aspects of the Paleo diet – is that the archeological evidence suggests humans were grinding grains long before they were refining or pressing oils. Yet grains are a major no-no in the Paleo diet, because they’re not what the earliest humans ate. Yet somehow, coconut oil gets a free pass? And on that note, even unrefined virgin coconut oil is still highly refined. It’s not like you can crack open the shell and scoop that stuff out as-is. The word “unrefined” simply means it hasn’t had the natural coloring, odors, and other microscopic impurities removed. Whatever plant or animal an oil comes from, since it’s unnatural, many choose to follow a no refined oil diet. After Bill Clinton had his quadruple bypass surgery, he adapted an oil free vegan diet at the advice of doctor Dr. Caldwell Esselstyn of the Cleveland Clinic. Dr. T. Colin Campbell also influenced Bill on both the plant-based science and the bad side effects of oil, such as atherosclerosis. There’s actually a good scientific case made as to why an oil free diet is best. Check out Prevent and Reverse Heart Disease: The Revolutionary, Scientifically Proven, Nutrition-Based Cure written by Dr. Esselstyn. Our favorite though is Whole: Rethinking the Science of Nutrition from Dr. Campbell. But most people don’t give up refined liquid fats altogether. 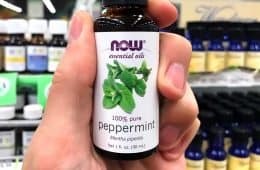 Let’s face it, unless you are retired/unemployed with tons of free time to prepare from scratch whole foods for every meal, it’s near impossible to avoid oils entirely. Especially if you’re on the go and eat out a lot. Instead, most conscious healthy eaters try minimize consumption of oils and strategically choose the healthiest type they can. The takeaway here is that you can’t use the argument in and of itself that MCT oil is bad for you because it’s unnatural. If using that same metric, then you would be forced to admit the same thing about coconut, olive, safflower, flax and all the others… since none are naturally occurring. Cave men didn’t have oil presses! Really, if you’re calling MCT oil unhealthy because of the unnatural factor, then you are a hypocrite. Unless you’re abiding by the same stance on all refined oils. Are coconut’s other ingredients helpful for your goal? 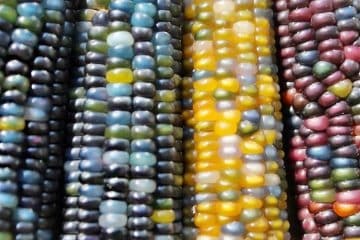 The biggest argument you hear advocating for natural food sources is that they leave the other nutrients intact. Is that a good idea? Most types of fat offer little to no nutritional value, other than calories for energy. You probably won’t be missing much nutritious content if you opt for 100% medium-chain triglycerides. We already have too much omega 6 in our diet, so you don’t have to worry about missing out on that. The richest food sources contain practically no omega 3, often far less than 1% of the total. So when you chop those out, it’s only a trace amount you’re missing. Vitamins and minerals are nonexistent in coconut oil, according to the USDA National Nutrient Database entry for it. As far as antioxidants, all purified fats have very little. The ORAC value of coconut oil, which is a measure of its antioxidant content, confirms that. But if you prefer sticking with more typical dietary sources, what foods are highest in MCT? Notes: When a source provided ranges, a mid-point was used for each type of medium chain lipid and those were added together, with the sum reflected above. When more than one source was available, that which was most likely to represent a typical food source was used. The unused secondary sources are still provided for comparative purposes. Each food’s percentage is calculated using the whole fat version of it (reduced fat versions like 1% or skim milk will have substantially less). It’s interesting to note that human breast milk is 10% MCT when the baby is full term, but the mother’s milk is up to 17% when the baby is born preterm (before 37 weeks) (23). We left breast milk off the list of foods because if you are a grown man or woman drinking that, then you have serious mental issues! Many Paleo diet books and websites claim that with the exception of coconut, vegan diets are a poor source of MCT. The top 7 foods on the list are all plant-based. It’s just that outside of South America, Africa, and their other native regions, no one consumes them. So yes, the modern American diet offers few vegan sources. On a worldwide basis though, there are a lot more. 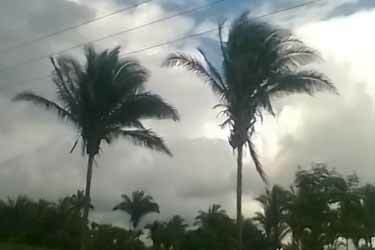 In a nutshell, the richest sources are from different types of tropical palms. The highest animal sources come from different types of dairy foods. The other myth is that cheese and milk coming from grass fed cows are better. As you can see, they’re not. Some non-organic, conventional dairy products have amounts listed which are higher than their grass fed counterparts. You shouldn’t read too much into that though, as the difference likely has more to do with the fact that they are coming from completely different test sources. For example, those testing grass fed butter typically aren’t testing regular butter and vice-versa. …and that the discrepancies between them are because of different sources tested. The number of tests published are just too small to draw any other conclusion at this time. Since they’re not widely used as food, there’s not much motivation to research sources like these babassu palm trees growing Brazil. Believe it or not, there’s not as much research out there as you would expect which analyzes a given food’s entire fatty acid profile. 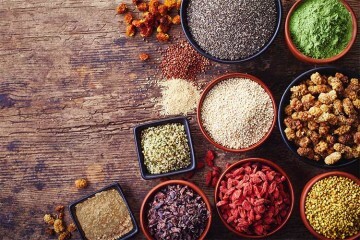 Sure, there are countless sources which analyze the percentages of saturated vs. unsaturated (or monounsaturated and polyunsaturated), omega 6 vs. omega 3 content, and so forth. But there are several dozen forms of fat and few dig that deep. In fact, even withing the USDA’s National Nutrient Database, the vast majority of foods do not include in-depth lipid profiles. Something you will notice absent from the list of high MCT foods are meats, not even in grass fed animal sources. How much MCT there is in meat is less than 1%, typically. Bacuacu and babassu oils have more, but chances are you will never eat those in your entire life. Not to be confused with palm oil, but palm kernel oil is readily available for sale in the United States and it’s cheap at that. You may want to skip palm kernel. Why? 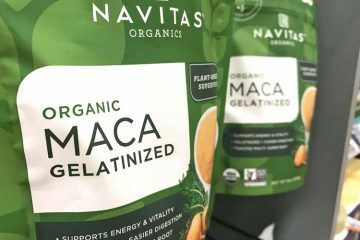 Since it’s made from the hard pit (versus the fruit pulp) it means the extraction process isn’t what you would call organic-friendly. A petroleum-based solvent often has to be used. Is that healthy for you? Ultimately, the highest and most readily available natural source (at least as natural as oil can be) remains coconut. Plus, MCT coconut oil is the most common form made. For these reasons, it deserves an in-depth analysis. At least one major Paleo website incorrectly claims that coconut is only 15% medium chain. If you take a closer look at the source they cite, you will see it actually doesn’t say that! They’re not counting the 4th type, lauric acid. That makes up the bulk of its medium chain content. There will only be a negligible difference between organic unrefined vs. refined coconut oil. The latter type simply refers to additional processes involving bleaching, deodorizing, etc. The nutrition facts between the two types are identical, at least in terms of their calories and lipid profile. 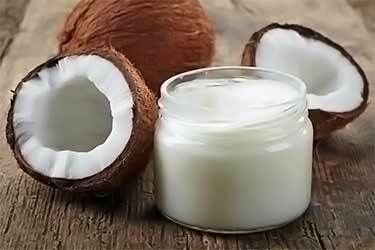 How much MCT is in coconut oil? Without fractionation, here’s a full breakdown of the medium and long chains you will find. 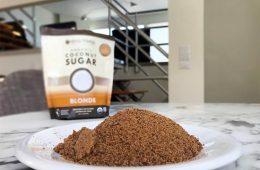 So what are you missing out on by using MCT fat instead of coconut? 25–35% is bad saturated fat and that won’t be in the purified MCT. 1–6% is polyunsaturated omega 6, which isn’t bad for you in moderation, but you already get plenty (too much) in your Western diet. Less than 0.2% is omega 3, which is too little to sway the decision. Omega 9 is a non-essential fatty acid, because our body can create it using other fats. 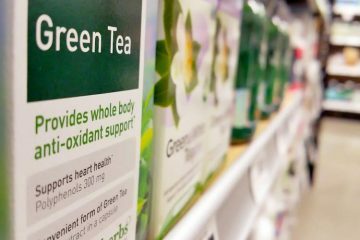 While there are some health benefits, it’s commonly found in plant-based oils – including the cheap ones – so even if you do want it, you’re getting plenty elsewhere in your diet. Another non-essential you would be cutting out is omega 7 (palmitoleic acid). There seems to be a larger body of research to suggest it might reduce LDL or “bad” cholesterol and help with blood sugar and inflammation (26). However once again, there are plenty of common omega 7 food sources you’re already consuming; avocado, olive oil, macadamia nuts, butter, cheddar cheese, and eggs just to name a few. You’re not missing out by eliminating it from coconut oil. In short, you’re really not missing out anything by going with the best MCT oil, which will be any brand that has been refined to be 100% pure. Now Foods, Quest, and Bulletproof XCT are all examples with good reviews. You could easily argue those will be healthier for daily use, because you are cutting out a lot of bad fats which you really don’t need in your diet. Especially if you are obese or overweight. What’s the point of eating those bad or unneeded fats if you’re already struggling with weight loss? Aside from cutting out the unnecessary and bad stuff, what advantages for health does it offer… if any? 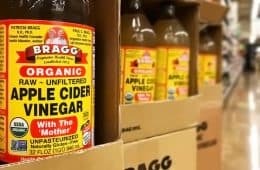 It turns out there is a fair amount of research which suggests that not only is medium-chain triglyceride oil good for you, but it may be healthier than the culinary varieties. Basic reasoning tells us that would make sense. After all, if you’re amping up the good and tossing out the bad, then logically it should lead to greater benefits. But what seems logical is hardly something you should bank on for healthcare decisions, so let’s take a look at what the research has found. There are currently over 80 clinical trials published on PubMed which mention this ingredient. Not all are directly related, but many are. First, let’s just get this one out of the way because it’s a myth. Purported supplements to improve hippocampus performance is one thing, but some go so far as to allege neurogenesis – that’s the process of growing new brain cells. You see some people online talking about coconut oil MCT neurogenesis, but there is literally no research to even suggest that as a possibly. The only thing even remotely related on PubMed is study published in 2016 about injecting coconut oil into the midbrain ventricle or eyes of tadpoles (41). But even with that, the lipids were only used for creating suspensions of triiodothyronine (T3) which is a thyroid hormone. It’s the T3 that was being studied and what they believed might be beneficial in the tadpoles. There is some research to suggest medium chains might improve cognitive function (42) (43). That is one benefit that bulletproof coffee drinkers allege, but there are no studies to support that claim. Even if it is happening, it does not mean new brain cells are forming. There are a handful which look specifically at obesity and people who simply want to shed some extra weight. After the 16 weeks, the effects were the same as the olive oil group. Increased energy usage was seen in the women, but their weights remained the same after the 27 days was up. A study involving men found that when compared to a diet rich in long chain fatty acids, there was greater fat loss with MCT use. It was seen in the men’s upper body adipose tissue (31). The suspected enhanced thermogenesis (burning of calories) has also been seen in animal tests (32) (33). Does it also decrease appetite? That’s what the results of one study involving overweight men had suggested (34). A study done at San Diego State University used 12 highly trained men who were endurance runners. Their average age was 30.5 years (35). They were split into two groups, each receiving MCT oil supplements or LCT oil made from corn. These were consumed daily for 2 weeks and then treadmill tests were administered: 85% VO2max for 30 min, followed by 75% VO2max until exhaustion. The differences in results were too small to be deemed statistically significant, meaning this study can’t be used in favor of medium chains. Even if the differences were significant, being such a small study it would be hard to give it much weight. They pitted the oil against simple carbohydrates, which are favorite of bodybuilders for energy (during the right times, not all the time). After seeing those charts, you can see why they drew the conclusion they did. But remember, it was a small number of participants. The next study evaluated MCT oil for energy in women (mostly, at least). It was conducted in a double-blind manner by Japanese researchers. There were 7 women and 1 man participating, all young adults ranging in age from 21 to 28 (37). None were professional athletes, but rather “recreational” athletes (that describes most of us, right?). To measure their peak VO2, stationary cycling was used. The differences seen in (A) oxygen uptake/V02 and (B) respiratory exchange ratio (RER) were not considered statistically significant. However as seen in the chart on the right, those using MCT fat performed significantly better according to their exercise time to exhaustion. In vitro genotoxicity tests using bacteria. Nothing detected (38). Dogs were stuffed full of medium chain fatty acids for 90 days – at a dosage of up to 15% of their total caloric intake – and no toxicity was detected (39). Humans consuming up to 42 grams per day of medium and long-chain triacylglycerol over 4 weeks. No side effects (40). Those are just a couple examples out of many studies. The consensus seems to support there are not safety issues, at least relative to the more common long chains. If medium vs. long chain are equal in safety, there still remains the “refined fats are bad” rebuttal mentioned at the start. That can be summed up as all processed oils found outside of foods should be avoided or greatly minimized. As crazy as that may sound, the theory that all processed oils contribute to atherosclerosis – which is hardening of the arteries as we age – is supported by a body of research which keep growing. Not to mention, suggestions that it may worsen high blood pressure, cataracts, type 2 diabetes, and possibly even accelerate aging. If you want to learn more but only have time for a Cliff’s Notes version, watch the presentation Salt, Sugar and Oil: The Good, the Bad, and the Ugly and you can have it explained in about one hour. Setting aside that extreme approach, are there any side effects of MCT oils which are unique? There doesn’t appear to be, but there are still dangers to be aware of. Perhaps even more so with the foods high in medium chain fats. Due to the coconut oil craze, people are under the impression that eating lots of it is good for you. You now see it added to many protein bars and processed superfoods (or so they call them). Eating so much fat – especially saturated fat – can have health consequences. This is even more true with coconut oil. Yes, you are getting good medium chains in coconut: caprioic, caprylic, capric, and lauric acid. But as demonstrated by its lipid profile above, about 1/3 of coconut consists of other bad fats. 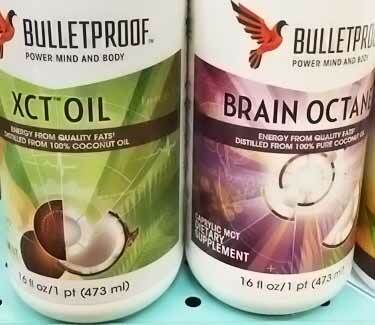 But don’t think for a second that your Brain Octane or Bulletproof MCT oil is completely innocent, either. All fats, regardless of type, are very high calorie. 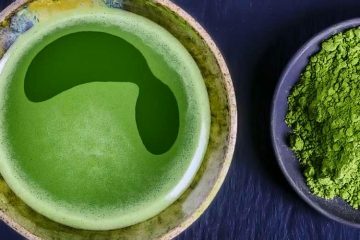 If you sit at a computer all day, getting up to 460 calories extra from your Bulletproof coffee may not work out so well. If you’re taking in more calories than your body can use, it will lead to getting fat, not weight loss. As far as any thermogenic effect of excess calorie burning… that isn’t conclusively proven yet in humans. And if it is for real, research seems to suggest a small percentage benefit. Maybe in the single digits or a low double digit percentage. That amount of a gain won’t compensate for a couple hundred excess calories per day. How much MCT oil per day? 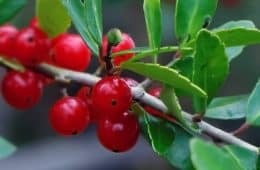 Whether it’s used as a dietary supplement or as as substitute for a culinary oil, the dosage should be small. Similar to olive and other refined cooking oils, the best 100% pure MCT coconut oils will be 100 calories and 14 grams of fat per tablespoon. 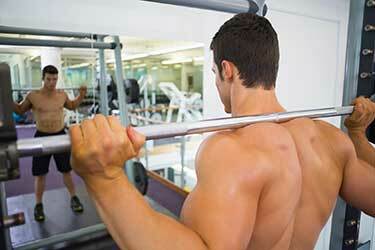 Some bodybuilders report taking up to 6 or even 8 tablespoons per day, but they are serious gym rats. Bulging biceps and quads thanks to 5x a week in the gym means they are burning enough calories to get away with it. Those living the cubicle life are not in that category. Plus, the weight lifters and athletes are mixing it with protein shakes and meals, spreading that high dose throughout the day. Using so much at once on an empty stomach would likely cause diarrhea or at the very least, digestive discomfort. The ideal amount of MCT for weight loss purposes would be significantly lower than what bodybuilders use. Over the course of the 12 week study, they lost 2 lbs more than the control group. The 10 gram dose they used would equal around 2 teaspoons per day of MCT oil. 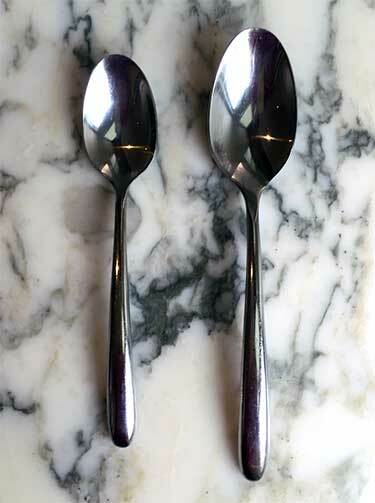 Keep in mind that’s the smaller spoon pictured, not the big tablespoon next to it (which holds 15 grams). Whatever amount you choose, how to use MCT is not set in stone. Yes, many add a spoon to coffee to create their bulletproof drink, but you really can add it to almost anything. Smoothies, oatmeal, or mixed with apple cider vinegar and herbs to create a healthier salad dressing. As with any purified fat, it can go bad and should be used before the expiration date. It does not need to be refrigerated, but storing it in a cool, dark place away from sunlight will prevent it from going rancid early. To maximize shelf life, also make sure you keep the lid tightly closed when not in use. Air will oxidize any type of oil and cause it to go bad long before it officially expires. Typically, that date is around 1 year in the future, so it does last a long time with proper care. 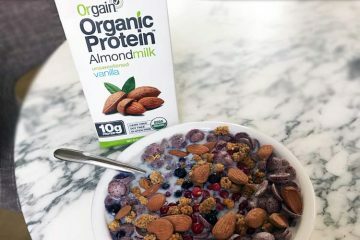 If anything, it’s easier to make the argument that coconut, ghee, grass fed milk, and other foods should be greatly minimized because of the bad stuff that comes with them. Especially cholesterol. All of the rich animal-sources contain high amounts of cholesterol. Plants don’t produce cholesterol, so that won’t be a problem with coconut and the others. But still, they’re a lot of calories and should be consumed in moderation. Plus, just like the animal-sources, they still contain other types of harmful lipids. In terms of nutritional value and benefits, the science seems to suggest that it might not be a bad idea to buy MCT oil and use it in lieu of coconut, ghee, and others. 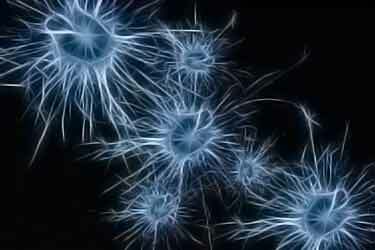 There have been no studies to date for neurogenesis. The benefits for bodybuilding and weight loss don’t have enough research behind them to be conclusive. 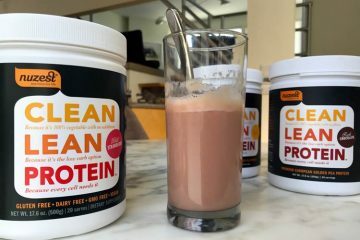 You can’t claim those yet, but there seems to be plenty of user reviews who feel that MCT really does work for dieting and boosting energy levels. Absolutely best Article I’ve read on MCT oil thank you !!! Since I have started MCT oil at one half teaspoon, to now one tablespoon. In 30 days I lost 17 pounds. I can feel an increase in my energy, within 30 minutes. It has helped my stomach also, with digestion. I’m sorry, but it works for me. No mention of ketosis? When in ketosis the value of MCT changes immeasurably because fat is needed for fuel. When you say “bad saturated fats” are you suggesting that saturated fat is bad? It’s actually some of the healthiest kind of fat. Ive been in cyclical ketosis for 4 months and am slimmer, with more muscle tone than ever before. I have more energy and eat more veggies with saturated/monounsaturated fats. 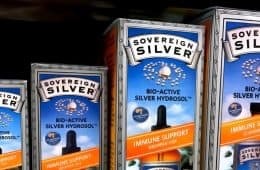 I avoid omega 6 oils as much as possible because I always end up getting enough of them and want a good omega3/omega6 ratio. You’re living in the broscience keto echo chamber. In the real world, sat fat is the worst. It causes inflammation and raises your total and LDL cholesterol, which are absolutely linked to heart disease risk and mortality (and no, this has not been disproven, and Ancel Keys has not been ‘debunked.’) East some sat fat and your arteries stiffen for hours. Guess why ‘intermittent fasting’ is so popular among keto adherents…? The keto diet is ridiculous and there are no miracle benefits to it. There’s no evidence that it magically makes unhealthy foods healthy. There is, however, good evidence that mortality goes up rapidly with increased fat intake once a threshold is crossed. No matter how you slice it, MCT, coconut oil, etc is far more stable and less risky to consume than any of the PUFA oils, regardless of source. That being said, everything in moderation, especially oils. I read the entire article.. I never do that! Very well written! Thanks a bunch! Good article and very timely for our family. We went Keto and decided that it was another “greatest new thing”, so we are backed down on the animal products. We are eating Shredded Coconut for a “hunger attack” fix, but have cut out 99% of our snacking, We’ll lighten up on Coconut. We eat Cabbage, Cauliflower, Broccoli, and Brussel Sprouts, and ultra light on Carrots as our main course at Lunch, with meat/cheese as a side dish. Some tomato sauce to jazz up our veggies. We haven’t heard of veggies causing health issues, so we’ll carry on. Breakfast is Avo w/ Eggs. We Intermittent Fast after lunch, until Breakfast. It is all so confusing. This what to eat hype, and the greatest new food craze, is getting old. Marketers own us, or at least they did, and don’t get me started on all of the MD Media Superstars, writing books, and doing the event circuit. I’m done! What’s the smoke point of MCT oil? Is it safe for high heat cooking? I think it’s interesting that the author said that if you’re a grownup drinking breast milk, there’s something wrong with you (which I agree with!). But I also think there’s something wrong with drinking breast milk from a cow or goat. We’re not meant to ingest any of that past weaning! I am researching because after 6 months of bullet proof coffee my blood work came back and my cholesterol was significantly higher. My good cholesterol was lower and my bad cholesterol was higher. First time ever in my life. I am 54 and slim build and pretty active. I try to eat healthy and workout 2X a week doing HIIT as well as walking my dog the other days. I was surprised! I love bullet proof and was doing it as part of an intermittent fasting. I would have one in the morning and be good to go till 2-3 in the afternoon. I need to rethink this! My cholesterol went up from 192 to 236! I have been doing Keto for 3 1/2 years now. I am controlling T2D successfully. Most people do not know a very important point, You can google this, If LdL and HdL are higher than normal and Triglycerides are lower, then the LdL and HdL numbers are meaningless. When my blood test come back, my doctor is happy to see my LdL at 185, my triglycerides are at 77, he says he expects this because I am a fat burner. There is a good exploitation of this on the Mayo Clinic site. I have to say I support the High fat diet, My A1C went from 10.8 to 7 in 6 months, and I have been at 5.7 or lower for the last 2 years, I am also 40 lbs lighter and holding. There’s alot of good science in the article, but the conclusion to eat low fat is all wrong. This article is yet another article perpetuating the fear of saturated fat. From healthy sources saturated fat plays a role in the body just as polyunsaturated and monounsaturated fats do. Our omega 6’s are already overdone because of how we feed our poultry and conventional cows. Hopefully people are eating pasture raised and organic wherever possible to avoid oxidized fats and trans fats caused by poor quality feed. We need healthy fats to build cell membranes, for cellular communication, to make hormones and to manage the inflammation process. Most omega 6 is pro inflammatory. Most healthy Saturated fats, good cholesterol, and omega 3’s are going to be anti inflammatory. Butyric acid from butter has all kinds of benefits. We need to do our own research people. Don’t believe every article your read. The body can make all the sat fat it needs for cell membranes, hormones etc. Koreans eat a very low-fat diet and used to eat less fat. Over 600g of starchy carb foods per day. No problems with membranes or hormones. You’re not making any sense. The research says that sat fats are bad for you. It doesn’t show any benefits of organic over conventional meat. 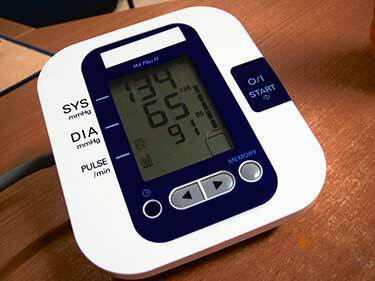 You’ll be in danger of getting the same health issues down the road.